Your synth’s small and efficient filtered and regulated Dual Power Supply, from a simple AC adapter. Being tired of constantly changing your synth’s batteries? 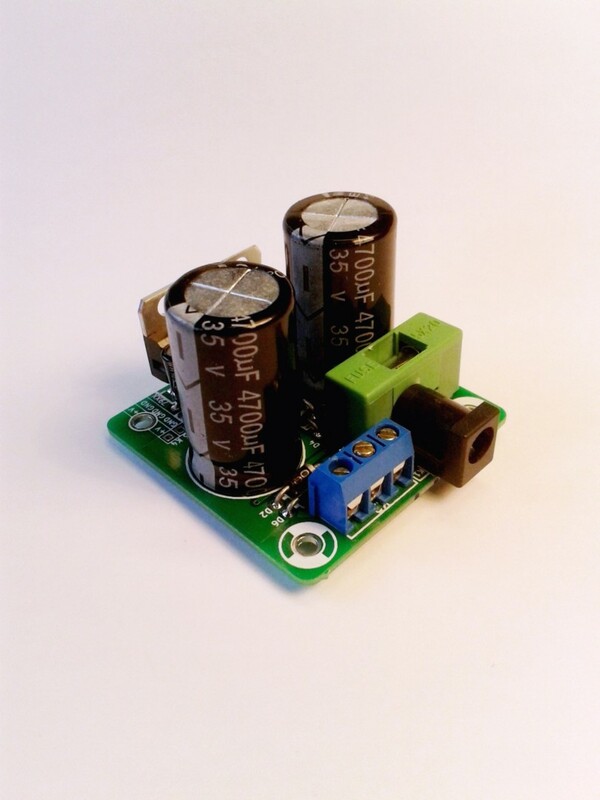 Still looking for a reliable, affordable and compact dual power supply? Well, this project is what you need. 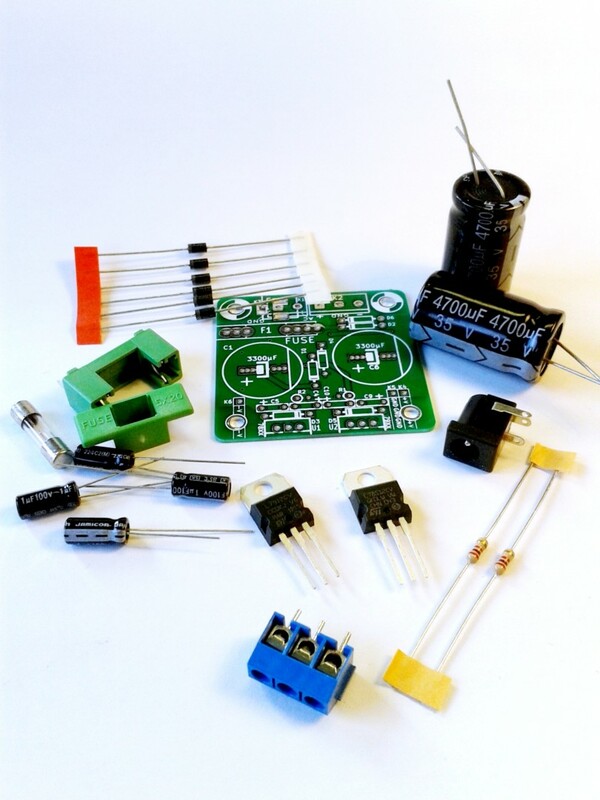 With few components, you can build a Power Supply well suited for your op-amps, small synths, guitar effects, DIY kits or any other hobbyist electronic projects that requires a positive AND a negative voltage with respect to ground. Usually, you need a center-tapped transformer (or 2 secondary windings) in order to obtain a dual power supply. And it’s a very reliable and effective way to do it. But if you need to replace batteries in your small synth, you may not want to add a heavy transformer in it. Not even speaking about dangerous mains voltages running in your case! This is where an AC plug pack and a small double-half-wave-rectifier power supply comes in handy. The AC voltage enters at K1. One side of AC in is directly wired to ground. This is important if you plan to use some uninsulated connectors, bolted on a conductive metal case, linked to ground. It presents the risk of short cutting the transformer output. On the other side of AC input, current goes through fuse F1 (T 500mA or a 100 to 500 mA PPTC polyfuse). The positive going voltage passes through D1, while negative oscillations are sunk by D2. C1 and C2 are the main reservoir capacitors. Their role is to store energy while the diodes are in passing state and to retrieve that current when the diodes are in blocking state. 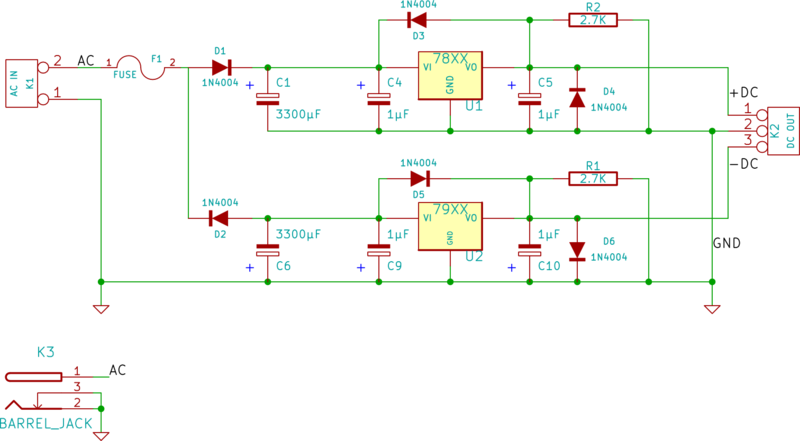 U1 and U2 try to keep voltage at a fixed and desired value on their respective output pins. They “try” because they’re only able to lower voltage between their input and their output. They cannot step up voltages. And they need a dropout voltage, a minimum voltage difference between input and output in order to work. Output Voltage depends on 78xx and 79xx regulators. It works well for example with a couple of 7812/7912 (small Eurorack skiff) or 7809/7909 (MFOS Soundlab Minisynth). Output Current / Power depends on regulators too (usually 1 Amp or 1,5 Amp for TO220 78xx packages), heat sinking, and of course AC adapter power. Heat sinking is very important! With no heat sink, do not try to draw more than 100mA. But be carefull, TO220 packages can become quite hot.